Penn gets Innovative with the new "Torque"
Introduction: Penn Reels introduces the most innovative conventional reel in years, the new "Torque." 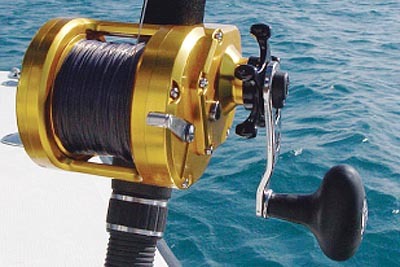 Making use of a patented new design the Torque delivers more cranking power than traditional reels, and does so at a price point that really might surprise you for a reel this innovative and well built. How the Torque was born: The Torque was actually born on a napkin on the back of a boat. 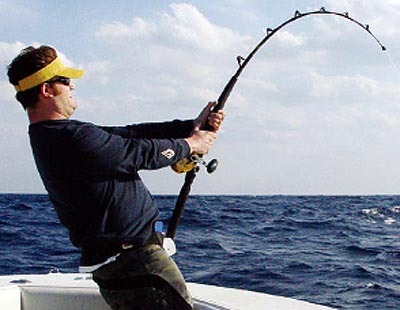 After a long day fishing Penn's CEO and one of their engineers were engaged in a conversation about reel design. For years companies had mimicked Penn's founder Otto Henze's original 1933 patent of using a bridgeplate to mount the gear stud and main gear. At the time this was innovation and creativity at its finest. However, with the great advances in materials and machining capabilities, the question was posed, why were companies using decades old technology when a better, stronger, and more reliable design could be used? A new, revolutionary concept was quickly sketched on the back of a napkin and a new Patent was born. From this innovative and revolutionary patent, Penn is proud to introduce a truly unique reel design, an Integrated Side Plate. This integrated Side Plate (ISP) serves as the basis for the new series of reels. 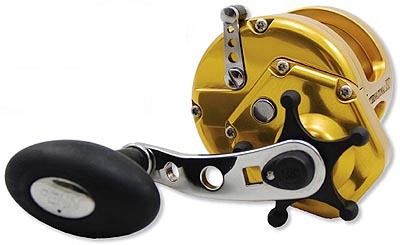 Not any ordinary reel: ISP stands for "Integrated Side Plate," the new, unique, and patented design integrates right side plate components into one rigid assembly. This innovation enables the reels to achieve super-high drag capabilities with fewer parts than a traditional reel. Crank up the drag and the machined side plate absorbs great amounts of load, all without causing any binding to the main and pinion gear. Gears, pinions, and handle maintain perfect alignment no matter how heavy the load. A closer look at the design: Traditional bridge designs do not lend themselves favorably to high-speed gearing as the increased load tends to distort and misalign the gear stud. Some companies manufacture slop into their gear studs, allowing the gear stud to semifloat and maintain some alignment with the pinion as load and pressure increased. With the ISP design, high-speed gears and pinions are unaffected by force and load, thereby maintaining perfect alignment with the pinion regardless of the pressures exerted on the reel. The patented integrated Side Plate design allows for an oversized, super high-speed gear for a unique combination of power and speed only found in the new Toque reel. Features: The Torque is constructed out of lightweight and strong aluminum alloy (Forged & machined Frame, Spool, and Side plates). The reel makes use of five stainless steel ball bearings and the main gearing is precision machined stainless steel (6.3:1 Gear Ratio). For added strength Penn integrates a heat-treated stainless steel pinion gear. The pinion disengages for a superior free spool when casting and the drag system is a multiple drag stack arrangement. Finally, to top it all off Penn puts on a very ergonomic soft-grip power handle to really crank down on. 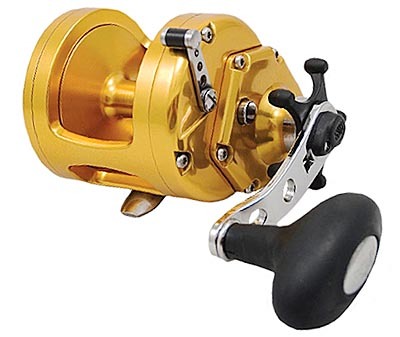 Applications: Borrowing the �look� of another iconic Penn reel, the Penn International, the Torque incorporates the innovative sideplate design to produce the strongest, most reliable star drag reel on the market. A full metal body, coupled with an oversized stainless gear and power handle produce incredible cranking power and performance. With a disengaging pinion, castable free spool, and unlimited power, the Penn TORQUE is designed for jigging (West-Coast Yo-Yoing), freelining baits, and swimming jigs. The first fish caught on the new Penn Torque, a 100-plus lb Spinner Shark caught off the coast of Florida. Penn Pro Staff, Greg Bogdan, commented after cranking in a few Spinner Sharks between 80 and 150-pounds, the Penn Torque was the most versatile and powerful reel he has ever fished with. He found the reel delivered unbelievable torque, cranking power and drag capabilities....hence the name of the reel. 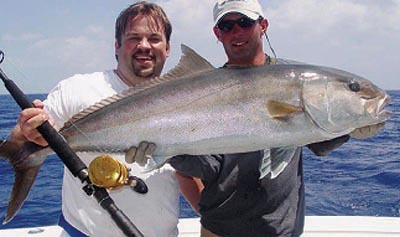 Conclusion: Saltwater anglers all know Penn well, and with the introduction of the new Torque reel there is a compelling new reason to get to know this trusted manufacturer of big game tackle. 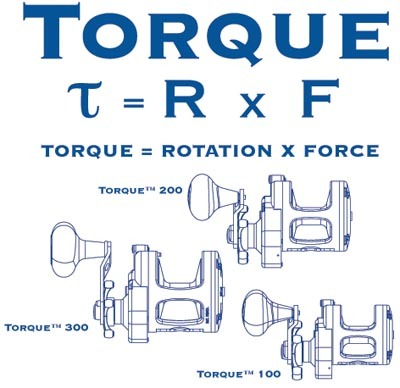 The Torque is the most revolutionary saltwater reel in years, and features an innovative patented integrated sideplate design that delivers copious amounts of torque and raw power. There are three sizes available now (100, 200, 300) and all are superline capable. If the features don't get anglers excited (and they should) the price certainly will...retailing for only $379-$399 per reel, depending on size, the Torque really sets itself apart from the competition.